Jewish Sour Rye from Greenstein's "Secrets of a Jewish Baker"
When I started baking bread again about four years ago, one of my principal reasons was to bake a good Jewish Sour Rye, a favorite bread I could not get locally. Greenstein's Secrets of a Jewish Baker was one of the first bread books I acquired, and I found his Jewish Sour Rye Bread at least as good as any I could remember eating. His book was criticized by a number of TFL members for providing only volume measurements for ingredients. So, in October, 2008, I made the Sour Rye, carefully weighing the ingredients. I've used that formula since with consistently good results. I still love this bread. Rye Sour A sourdough starter or levain fed with rye flour is called a “rye sour.” Note that all the rye flour in the formula is pre-fermented. 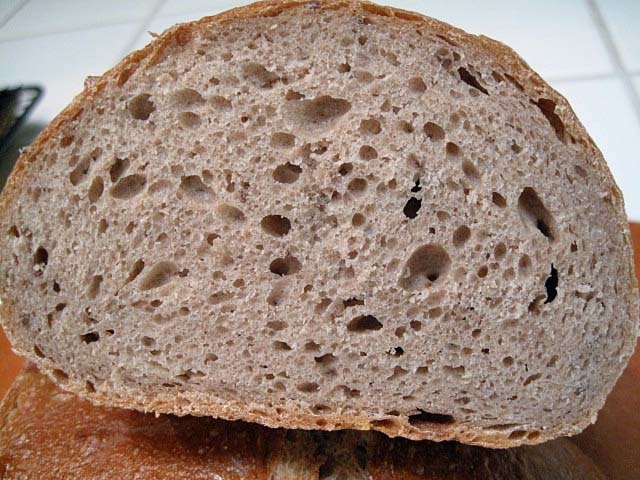 Traditionally, Jewish Sour Rye or New York-style Deli Rye is made with white rye flour. This is the equivalent of white flour milled from wheat. The bran and germ is removed, and the flavor is much milder than whole grain rye flour. I happen to like the flavor of whole grain rye and for years have used either dark rye or medium rye rather than white rye flour in this bread. If you use white rye, you may want to reduce the water, since this is less absorbent flour. Altus This is “old bread.” It's origin is said to have been a way for the baker to recycle the rye bread he hadn't sold the day before, but, besides being a thrifty practice, the incorporation of some old bread in the dough is felt to enhance both the flavor and texture of rye bread. Its use is optional but recommended. 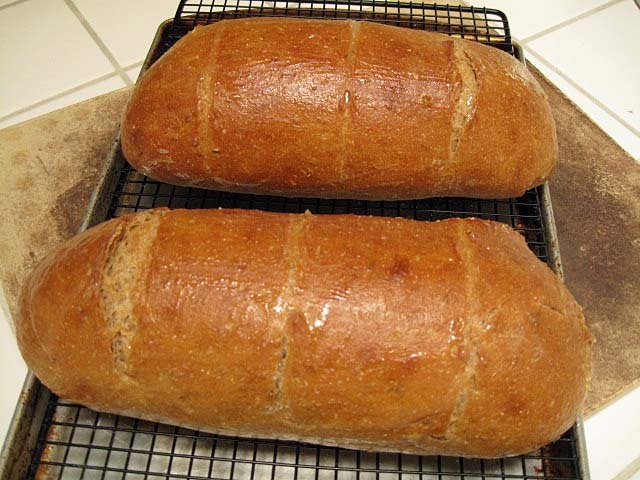 To prepare altus, take a few thick slices of previously baked rye bread. Cut them into cubes and put them in a small bowl, covered with water. After a few hours, squeeze the water out of the bread and add it to your dough before mixing it. Instant yeast As with many sourdough breads, the addition of commercial yeast makes the fermentation and proofing times more predictable. However, it is not necessary to make good bread. Since so much of this bread's flavor comes from the rye sour, I don't think the addition of yeast has any adverse impact on the quality of the bread. I generally use it. 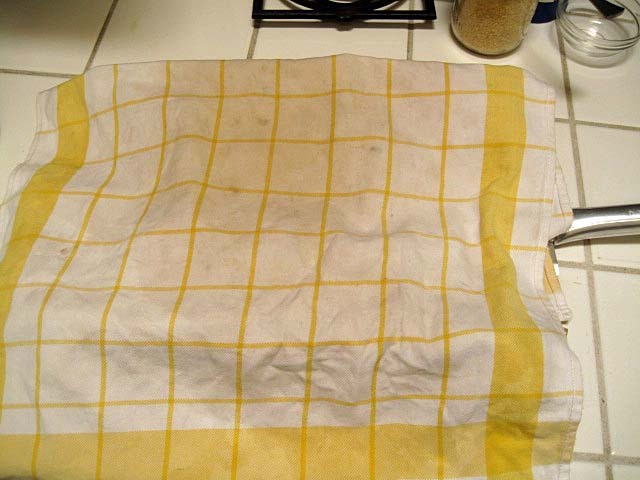 Cornstarch glaze Dissolve 1 1/2 – 2 T cornstarch in 1/4 cup cold water. Heat 1 cup of water to a boil in a small sauce pan. Slowly pour the dissolved cornstarch into the boiling water, whisking constantly. Continue to stir until it is somewhat thickened. Remove from heat and reserve. If you have a white rye sour, build it up to a volume of 4 cups or so the day before mixing the dough. If you do not have a rye sour but do have a wheat-based sourdough starter, you can easily convert it to a white rye starter by feeding it 2-3 times with white rye flour over 2-3 days. In a large bowl or the bowl of an electric mixer, dissolve the yeast in the water, then add the rye sour and mix thoroughly with your hands, a spoon or, if using a mixer, with the paddle. Stir the salt into the flour and add this to the bowl and mix well. Dump the dough onto the lightly floured board and knead until smooth. If using a mixer, switch to the dough hook and knead at Speed 2 until the dough begins to clear the sides of the bowl (about 20 minutes). You may need to add a few tablespoons additional First Clear flour to get the right dough consistency. Add the flour, if needed, as early as possible in the mix. Add the Caraway Seeds about 1 minute before finished kneading. Even if using a mixer, I transfer the dough to the board and continue kneading for a couple minutes. The dough should be smooth but a bit sticky. Form the dough into a ball and transfer it to a lightly oiled bowl. Cover the bowl and let it rest for 15-20 minutes. Even after this short period, the dough is significantly less sticky. Transfer the dough back to the board and divide it into two equal pieces. Form each piece into a pan loaf, free-standing long loaf or boule. 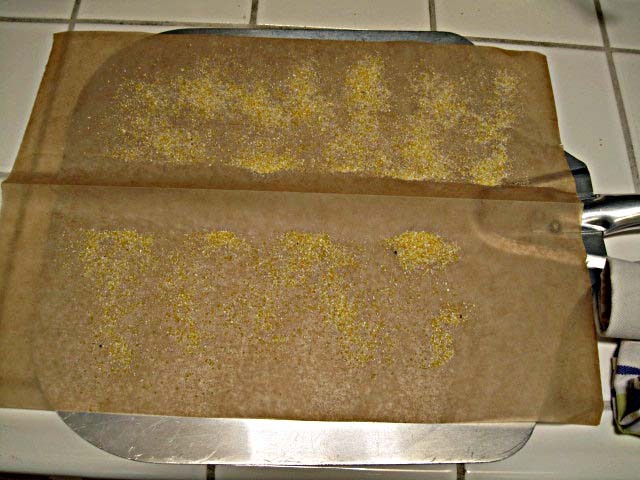 Dust a piece of parchment paper or a baking pan liberally with cornmeal, and transfer the loaves to the parchment, seam side down, keeping them at least 3 inches apart so they do not join when risen. Pre-heat the oven to 375F with a baking stone in place optionally. Prepare your oven steaming method of choice. Prepare the cornstarch glaze. Whisk 1-1/2 to 2 Tablespoons of cornstarch in ¼ cup of water. Pour this slowly into a sauce pan containing 1 cup of gently boiling water, whisking constantly. Continue cooking and stirring until slightly thickened (a few seconds, only!) and remove the pan from heat. Set it aside. When the loaves are fully proofed, uncover them. Pull the sides of the parchment apart to separate the loaves from each other. Brush them with the cornstarch glaze. Score them. (3 cuts across the long axis of the loaves would be typical.) 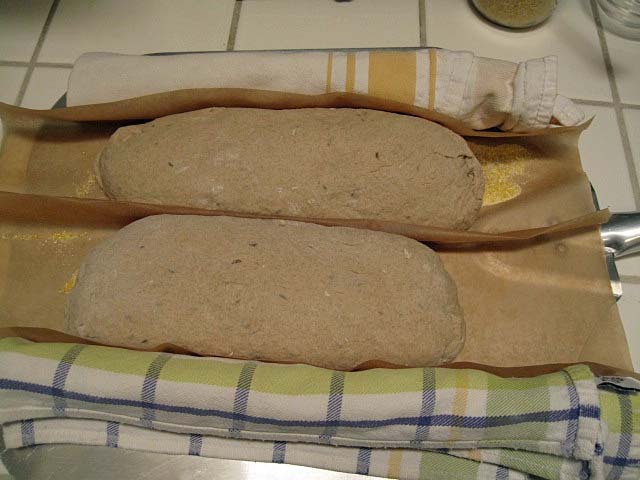 Transfer the loaves, still on the parchment, to the oven, and steam the oven. After 5 minutes, remove any container with water from the oven and continue baking for 30-40 minutes more. The loaves are done when the crust is very firm, the internal temperature is at least 205 degrees and the loaves give a “hollow” sound when thumped on the bottom. When they are done, leave them in the oven with the heat turned off and the door cracked open a couple of inches for another 5-10 minutes. Move the loaves to a cooling rack and brush again with the cornstarch glaze. Loaves on parchment. Note the fold separating the loaves and the rolled up towels supporting the sides of the loaves. I let the final build of the rye sour get really ripe. In fact, it was starting to collapse when I mixed the final dough. The resulting bread was extremely sour and very delicious. If you don't like very sour rye bread, either use the sour when it is younger, or, if your timing demands, you can refrigerate it over-night, until you are ready to mix your dough. Beautiful , David! at 43% Rye , this looks really delicious! 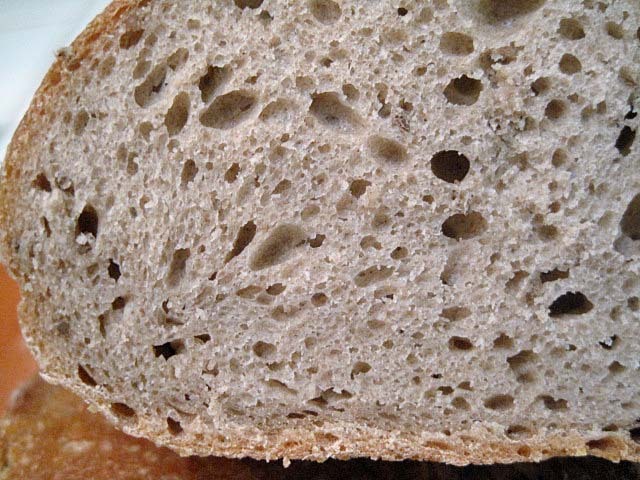 Crumb looks absolutely mouthwatering! Unfortunately, most folks in here don't appreciate the earthy notes of sour rye , and i'll have to lower the rye preferment to 10-15 percent of the total flour. Cold cuts and smoked meats aren't common here in the middle east. I love the glaze on your ryes, i'll have to try it sometime. So how come you don't include the Altus in your bakers percentage formula? I would think that should be calculated in the formula with the other ingredients. Also, as I have been trying to force myself to start using the bakers % I have I think gone too far over the edge and included the water and flour % for my seed starter when calculating the levain % of flour and water. I noticed you simply use the flour and water % from the finished levain. Since most of my recipes use a 65% hydration starter I have been breaking it down to it total components including the seed flour and water. What is your expert opinion on this? P.S. I just got back from 11 days in China and you have now forced me (not that it takes much) to go have a Pastrami on Rye from the local pub for lunch! I can taste it now at 8:30 AM (8:30 PM if I were still in China)! I'm not quite sure how to account for the altus in baker's math. With levains, if I understand what you are doing, it sounds fine. Beautiful looking ryes David. Coincidentally, I was just thinking of making a deli rye to take a break from all the SFSD's. Seems like we have been thinking along the same lines. :) An informative post, too. I have only made a deli rye once before and I think I used egg white as a glaze. I didn't know about the cornstarch glaze. I will try that next time. This is a good one. Even my rye-averse spouse loves it. I'm new to commenting, but I've been lurking this site for awhile- ever since the restaurant I work at asked me to build them a bread program. While I've been a professional pastry chef for years I really haven't had much to do with bread. Up until now, at least, when I've fallen down the rabbit hole. I'm adapting this rye for professional production, and so far it's been a winner. Lovely color, beautiful sour rye flavor (I, like you, prefer medium and/or dark ryes), gorgeous oven spring. The only thing is that I consistently get a side blowout, down near where the loaf meets the parchment, about a third of the way through baking. The scores open beautifully and the crumb is consistent. The only problem is the blowout. It's generally the entire length of the loaf, almost as if I'd left a seam exposed, though I know I haven't. Any thoughts on what might be causing it? Blowouts occur in at least half my light rye loaves. My best advice is to proof the loaves more fully, but even this isn't guarenteed to work every time. Somewhere I read that blowouts were expected in rye breads from the old Jewish bakeries and are not regarded as faults. Using Sourdough Starter for yeast? Is it possible to substitute sourdough starter for the instant yeast? You don't need to use the yeast. But fermentation won't move as fast.